What a day of emotions! We were anxious and worried about Clara as we arrived at the hospital early this morning and at the same time felt calm and confident in the surgeons' ability to fix her today. We have been so overwhelmed and honored with the flood of prayers that have come in for Clara throughout the day and have found ourselves wondering again and again how we have been so blessed. The right doctors, the right community, the right family, the right baby. So much is right. We waited for about two and half hours while the surgery was completed and when the surgical team came out to tell us everything went okay we immediately felt a rush of relief and excitement and renewed hope. A lot of emotions, huh? This afternoon after surgery Clara hit her first speed bump. We were expecting these over the next few days, but it's still hard to hear news about setbacks when we had so many stable "boring" days before surgery. She had a heart arrhythmia around 2:00, meaning that her heart started beating too quickly. The first time they gave her a drug called adenosine to correct things and she recovered. Then, she slipped into arrhythmia again and they gave her another dose which also worked. The third time her heart started racing the adenosine did not work and they had to shock her. Since then, she's remained stable and regular. As scary as this sounds, the doctors seemed calm and not too panicked about things. They think that the arrhythmia was caused by the large catheters in her neck that run to her heart to keep the ECMO machine going (cannulas). Since things have shifted on her inside now, they think these tubes were just off a little and were "tickling" her heart and causing this arrhythmia. Dr. Turner, with the help of a cardiologist and an echocardiogram, adjusted the cannulas about 1 1/2 cm. They are watching now for recirculation issues which would cause her CO2 levels to rise too much. If this occurs, they may have to re-adjust the cannulas again the other direction. She is on some meds now to try to control the arrhythmia long term. They have also given her some more blood and some more platelets because the echocardiogram showed that her heart was a little empty. Her blood pressure and other stats besides the raised heart rate look good for now. 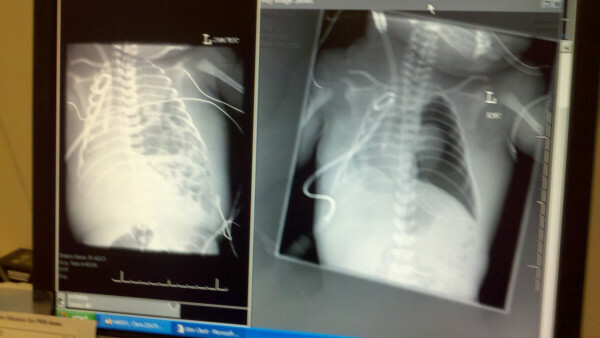 The latest chest x-ray seems to show that the cannulas can be adjusted a little more and Dr. Petty is on call tonight so he will probably do that. They have also given her some insulin to manage blood sugar levels. All of these small tweaks and adjustments are the kind of thing we were anticipating, but we are eager already to be on the other side of this surgical recovery so that we can start focusing on weaning off of ECMO and reducing pulmonary hypertension. On the left you can see that her left side is full of lots of extra organs. On the second x-ray, everything has been moved back down where it belongs and you can see her tiny left lung, surrounded by air/fluid in the space where her lung now needs to grow! Here's a picture of Clara's incision post-surgery. We can't wait to teach Clara to be so proud of her scar and all that it means. It will always be a beautiful reminder. Today was a powerful experience of community for us. Nearly 200 people signed up for a specific time slot to pray for Clara throughout the day and countless others told us you would be praying throughout the day. 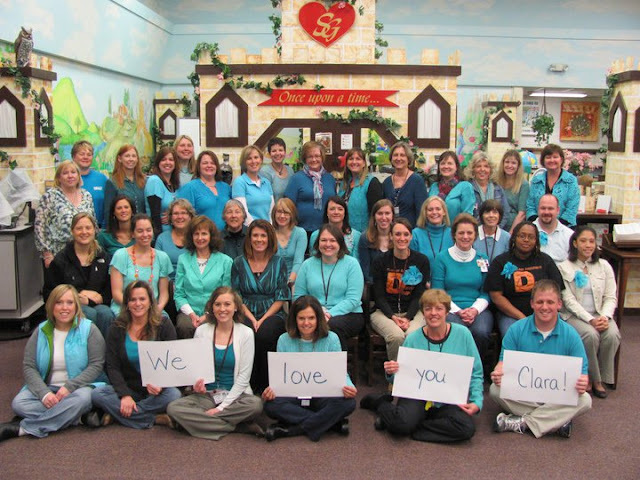 We know that many were wearing turquoise today in honor of Clara and other CDH babies and you have flooded our inboxes with words of love, encouragement and prayers. I can't believe how many people have rallied behind us and Clara and how the Lord has used this story to touch the hearts of people and move you all into action. We believe with every ounce of our being that it is your prayers that allowed for today's surgery to be such a success. It is a testament to the power of prayer and we hope that you have been moved as we have by this truth. It is times like these that we find ourselves on bended knee, but it is a powerful reminder of what kind of prayer lives we want to always strive for, even in the midst of good times. We cannot say it enough. Thank you for your love, support and prayers. 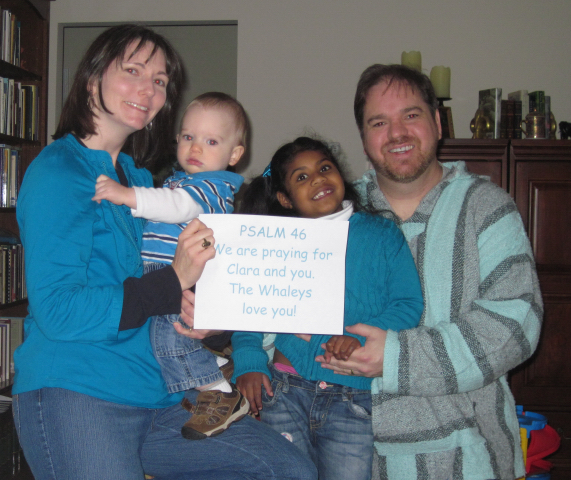 Good friends from church, also sending their turquoise love! So, in closing tonight - we are grateful. We are praising God for this important step along the journey for Clara and we want to make it clear that although we are thankful for the surgeons, appreciative of the medical staff and technology, and amazed by the procedures that can be performed, the glory all belongs to God. He alone is the Great Healer. Say to God, "How awesome are your deeds." we will set up banners! Keep praying. Please. Don't stop now. And we will continue to give God all the glory. Just stopping by to check on baby Clara....It is simply amazing what she has gone through today. My oldest daughter has a similar scar that gets fainter and fainter as the years go by. You may or may not know, that the storybook character Madeleine, has her appendix taken out in one of the books. All Madeline dolls have a scar drawn on their tummies. I'll have to see if those are still around! Baby Clara needs one! My daughter dressed up as Madeleine for Halloween one year, since she said she had the "complete" costume! We will be praying for a restful night for all of you. I am crying such grateful tears of joy. I know that there may be many struggles ahead, I wore turquoise earrings today and I thought of you and Clara and her doctors all day long. 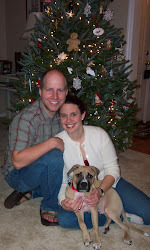 Mostly I prayed for her mom and dad to know God's peace and to not be fraught with anxiety. I know we will probably never meet, but never doubt how many prayers I have sent up for your family. We are so thankful for the successful surgery today. We have been and will continue to pray for little Clara and for all of you through the days ahead. Thank you for keeping us updated with specific ways we can pray. Gonna be praying for your sweet little baby!! I thank God she has born at a Christian family, who is putting her precious life before the throne of grace! May God bless and give you suport, to you and your family! Praising God tonight for the miracles of this day! I stand in awe of your steadfast strength and trust in the Lord! Prayers will continue for all of you. Rest for mom and dad are in order! It's true about the Madeline doll! :) Our Madeline loves hers, and we drew scars on all her baby dolls, so they could be like her! 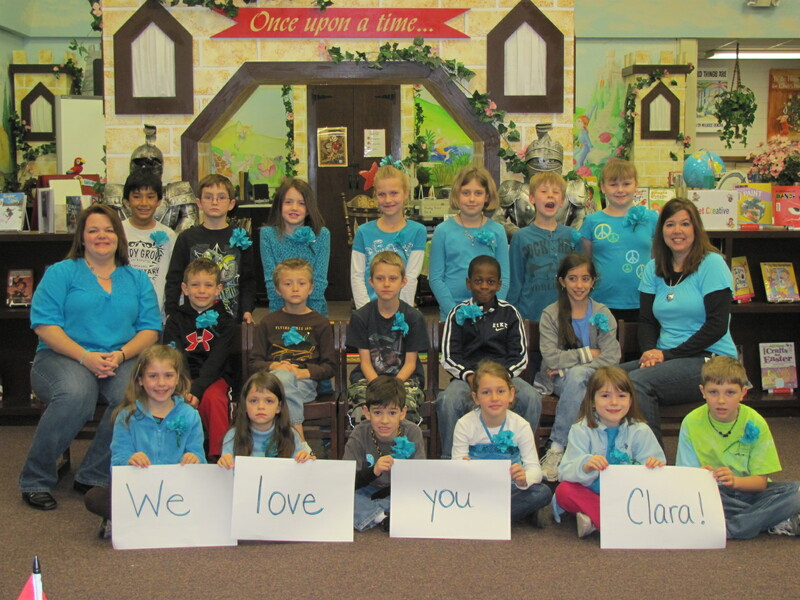 We love you Clara! Just checking in on Clara. So happy that the surgery was a success! We will continue to pray for Clara and the entire family! Praying for Clara, but I will pray for you and Robert. I know you need strength and comfort too! Prayers to you all. To GOD goes the glory ... we praise HIS holy name! May He continue to bless the Hardy family and give you peace and strength in the days to come. We have all been blessed by Clara Mae! I'm so glad there was happy news! I cry every time I read your blog, but today's were joyous tears. Sweet Clara will stay in my thoughts. Please keep sharing the little miracles of her life. Praise God!! GO CLARA GO!!! SVT (the fast heart beat) is really common in babies, I had three-four kids just in the last two weeks with SVT. no worries. I am praying for you live from London on my way to Nairobi!! It is now 7.25 a.m. And we just read the update on your precious daughter! Thank God. Please continue to keep us posted! Glad you are keeping the blog up to date as we haven't mastered "twittering". Our praise to God and our prayers continue! Wow, did we mess up spelling of our last name! It should be Linda and Larry "VARNER"
Just got an update from the hospital (8:00 AM Friday morning). Clara had a stable night! Her Big Daddy says that she looks better than last night and that he is going to try to work some today. Thanks to all of you for your love, support, and prayers! Good news! Many, many prayers for good stabile days!!!!!!!!! Clara is such a special girl and she will be so proud of her battle! What amazing news to read! We are so excited that the surgery was a successful and will continue praying that the left lung grows and Clara's pulmonary hypertension continues to resolve. We are constantly thinking about everyone and are so proud of Clara! Continuous prayers for you all! We are Knollwoodians as well and have been thinking of you, sending positive thoughts your way. May God be with Clara, her medical staff and her parents and extended family! Wow...to God be the glory...great things He has done. Our love to all of you.